It seems like we hear about some incredibly brazen breach of computer security every week. Still, I tend to think of these events as anomalies, the work of rogue hackers and the like. I never really understood just how organized so much of this criminality was. 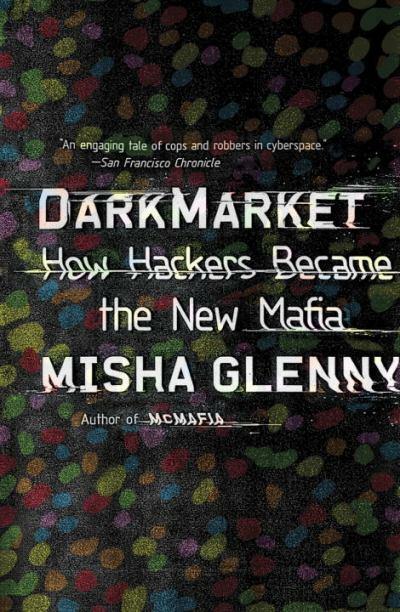 After reading Misha Glenny’s new Darkmarket: How Hackers Became the New Mafia, I have had my eyes opened. Some of the situations and crimes described in this book make La Cosa Nostra look like child’s play. Darkmarket is a well-written, page-turner of a book. It is also one of the more sobering reads I have had in some time. The name Darkmarket was chosen by a loose conglomeration of hackers, who had various reasons for their interest in breaching computer security. One early, and very notable quality I liked about the author’s approach to the subject was his careful distinction between so-called “black-hats,” and “white-hats,” when it comes to the subject of hacking. To briefly break it down, the white-hats are into hacking systems for their own amusement, and often attempt to inform the company (or whoever it is) about the gaping security hole(s) they discovered. To put it bluntly, a black-hat is in it for profit, or even just to create anarchy. In any case, black-hats are definitely up to no good. It can be argued that white-hats are up to no good themselves. After all, they are committing crimes. But here is where good old human nature, and often the ugliness of being driven by self-serving ego comes in. There are stories upon stories of Darkmarket hackers who began their activities as teens, more out of boredom (or being unpopular “nerds”), than for any other reason. When they..